Is there something to that inconspicuous cube, just sitting there on their desk? Of course there is! 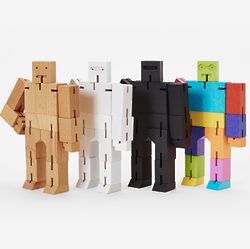 A great toy for almost any age, the cube unfolds into a robot to threaten or save the Earth, depending on their mood.